Iran accused the French police of colluding with Komala terrorists, as according to them, the police carried out no measure to protect the compound during the attack despite the claim that they were aware of the assault and has informed the embassy officials in advance. However, there has been yet no comment from French officials about the terrorist attack or accusation of colluding. On Sunday, the IRCG confirmed that it had fired seven short-range missiles at a gathering of terrorist commanders in the Iraqi region. The IRGC is on a constant watch for attempts by Iraq-based terrorists to infiltrate into Iran for acts of terror and sabotage. The Corps has engaged the terrorists in western borders on countless occasions, nipping numerous terror plots in the bud, arresting terror elements, and seizing their weaponry and equipment. 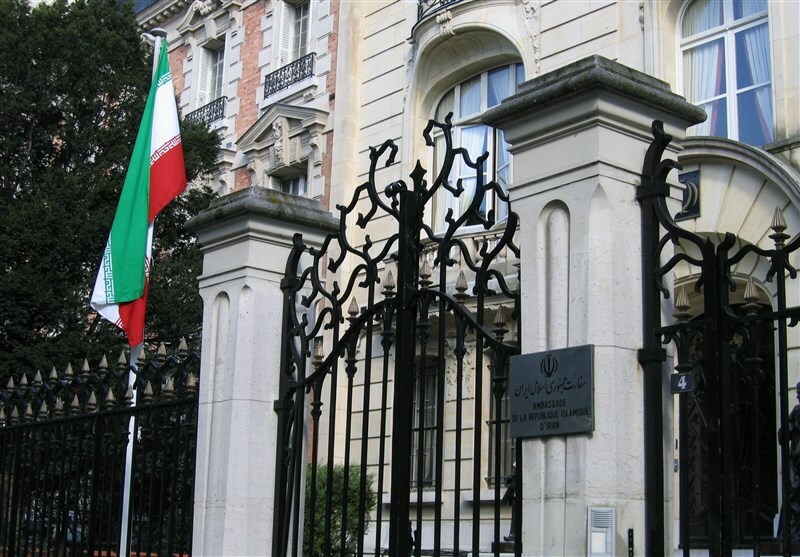 IRNA quoted Iran’s Foreign Ministry spokesperson Bahram Ghasemi that it is necessary for the French government to take serious measures to protect Iranian diplomatic missions. Some suspects were arrested, Iran demands the government to prosecute and punish all the 15 Komala terrorist suspects. France has a lengthy history of terrorist attacks carried out by a variety of groups from the extreme right, extreme left, extreme Basque, Bretonand Corsican nationalists, Algerian insurgent groups and Islamist extremists. The range of terrorist attacks witnessed by France have been bombings utilising IEDs, driven trucks and vans into the crowd, mass shooting to lone-wolf knife attacks. Terrorists are finding new methods of perpetration; they’ve refined their methods to such an extend that identifying them is a major challenge. Identifying terrorist methods make law enforcement’s role harder, challenging them to find new solutions to aid them in their counterterrorism mission. Counterterrorism agencies face a great challenge in discovering the right solution to identify the criminals/terrorist, provide accurate intelligence and leads and support the agencies to prevent future terrorist attacks. Counterterrorism organizations are aware about every threat posed by domestic or international terrorists but they find it extremely difficult to identify the source and know where and how they will carry an attack before it’s late. For counterterrorism agencies, the primary aim is to get accurate information fast enough to mount raids and detain suspects before they could plan or execute a terror attack. Given the pace and scope of lone-wolf attackers and terrorist networks, an efficient method of intelligence collection that can quickly preempt and neutralize hostile threats is imperative. One of the main challenges faced by every nation is to step ahead of terrorists, but the new development in technology and communications equipment have enable terrorists to plan, coordinate, and perpetrate their schemes with increased mobility and anonymity. The only solution to crush terrorism is through the use of the most advanced forensic technology that is safe, non-invasive and has unprecedented accuracy rate in providing intelligence and leads that no other existing investigative tool could offer. The technology that sets a new standard is developed by Brainwave Science and it’s called iCognative. The technology is so powerful that it empowers law enforcement agencies to capture terrorists before they attack. Counterterrorism agents must utilize iCognative technology to determine if an individual’s memory contains specific knowledge of any fact or situation, such as the details of a crime scene, bomb-making knowledge, or the inner workings of a terrorist organization. The value of this unique solution stands in its capacity to find concealed information from human brain and provide results with over accuracy of 99.9%. The technology is so fierce that it can identify active or inactive terrorists before and after any terrorist act happens. In cases like the terrorists who attack Iran’s Embassy in Paris, suspects must be subjected to virtually infallible iCognative test. With the help of this technology suspects will be no longer able to hide their evil plots and plans. Investigation details including case facts such as: building that terrorists attack; the objects with which they attack the building, and other vital information called Stimuli, is flashed on a monitor to the suspect/s. The technology understands that the brain is incapable of lying and when a specific case related information is displayed to suspect, iCognative technology records brain response to each stimulus and analyzes it at the end of 45 minutes test. Only definitive, conclusive results are presented at the end of the test with a push of a button. Only this technology can reveal 100% accurate hidden links and connections that would support domestic and foreign law enforcement agencies to identify the terrorists from innocents with over 99% accuracy. With terrorism becoming a kind of trend all over the world, iCognative is an antidote to stop this cancer from spreading. iCognative provides the key to dismantle any terrorist organization around the globe. The utilization of iCognative technology can very well serve as a warning to any potential terrorist, supporter or sympathizers who hide behind advance technology and think they won’t be penalized- Brainwave Science’s iCognative is the technology for today’s world.